Salt your glasses and assemble your garnish, using a piece of kimchi and a piece of seaweed on a toothpick. Fill your glasses with ice and pour the cocktail. 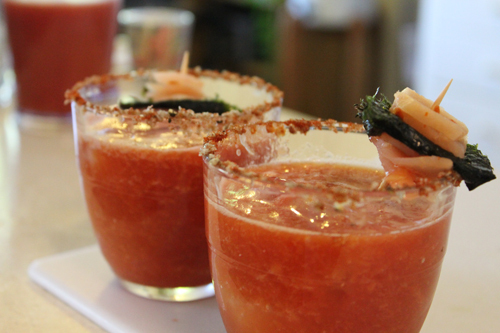 Bite into the garnish, take a sip and enjoy!